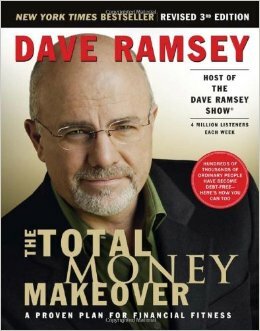 Long time listener to Dave Ramsey! The first time I listened it made me feel great- I was already ahead of the game as a non-credit user. The only thing, since I wasn’t much of a frivolous spender to begin with, I didn’t have alot of those frivolous expenses to trim. But I still love the you can do it if you really try message. It has always blown my mind how many people are doing things like paying for cable when they’re about to be foreclosed on- Americans don’t know the meaning of necessity! So many are brainwashed into believing they “need” a nice car, or brand new clothes every year, or an engagement ring that costs a year’s salary. Me, I don’t want someone to love me enough to waste all that money to get some of the poorest people on the planet to possibly endanger their lives as well as their environment just to dig me up a rock that won’t even keep me warm at night! A man-made cultured diamond looks just fine, no subjugation necessary. Got off on a rant, but it always makes me happy when young people get hip to the financial principles of Dave Ramsey. Years of relative frugality have paid off well- we are looking at rebuilding next year!